Weston Hurd LLP is pleased to announce that Kevin R. Bush has been named the Partner-in-Charge of the firm’s Columbus office effective January 1, 2015. 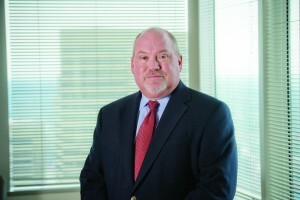 Kevin is an experienced trial attorney who focuses his practice on matters involving premises liability, personal injury, insurance disputes, and commercial and business litigation. He received his B.A. with high distinction in 1982 from Ohio Northern University and his J.D. in 1985 from Capital University. Kevin gained his Ohio Bar admission in 1985 and is also admitted to practice before the U.S. Court of Appeals for the Sixth Circuit and the U.S. District Court for the Northern and Southern Districts of Ohio. He is a member of the Ohio State Bar Association and the Columbus Bar Association. Kevin is a past president of the Columbus Association of Civil Trial Attorneys, and a member of the Ohio Association of Civil Trial Attorneys and the Columbus Claims Association. He is also an active member of the Claims and Litigation Management Alliance (CLM).